I saved the code in a file called blink-led.c. Then, I used a tool called avr-gcc to compile the code. Now, after reading the whole tutorial – what are you struggling with? Post your questions and comments below. I have an 80+watt soldering that I use for all my soldering needs, however I am a bit wary of using it on micro circuit chips such as the surface mount you have used in the project above, what fear is overheating the pins and damaging the internal components of the chip. Are my fears warranted or are these chips more resiliant than give them credit for? Also, when initially signed up, was told I would receive a “free” ebook, have yet to receive any such book. I do enjoy the news letters imensely as it only motivates me to want further get into electronics. 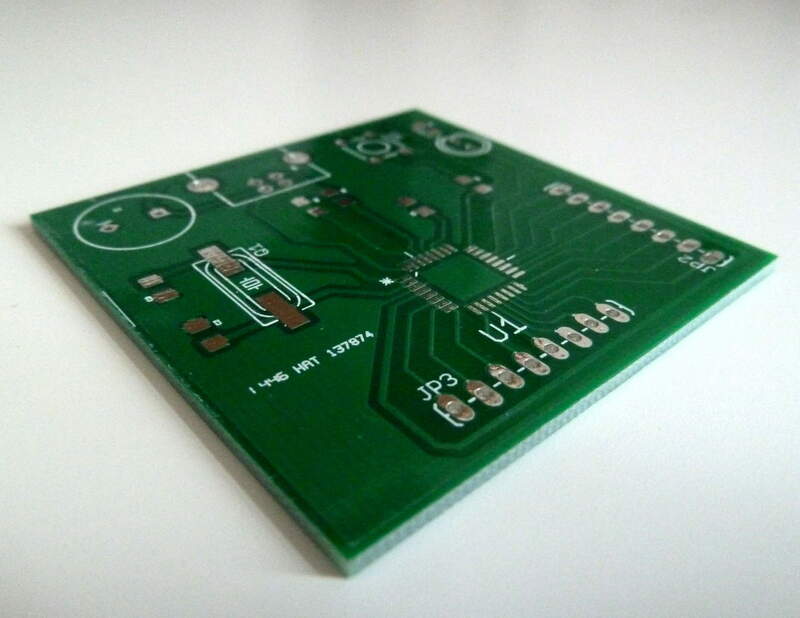 Another thing, have tried sorcing local supliers of PCBs but have not found such, do however have a supplier of copper clad boards that one can “draw” your own circuits on and etch the excess copper of using an etching fluid. Would this work as well for most projects? When you confirm that you want to be signed up you should be redirected to a page with a link to download the ebook. If you didn’t see it, just send me an email and I’ll guide you to finding it. You are right that you can damage a chip with too much heat. 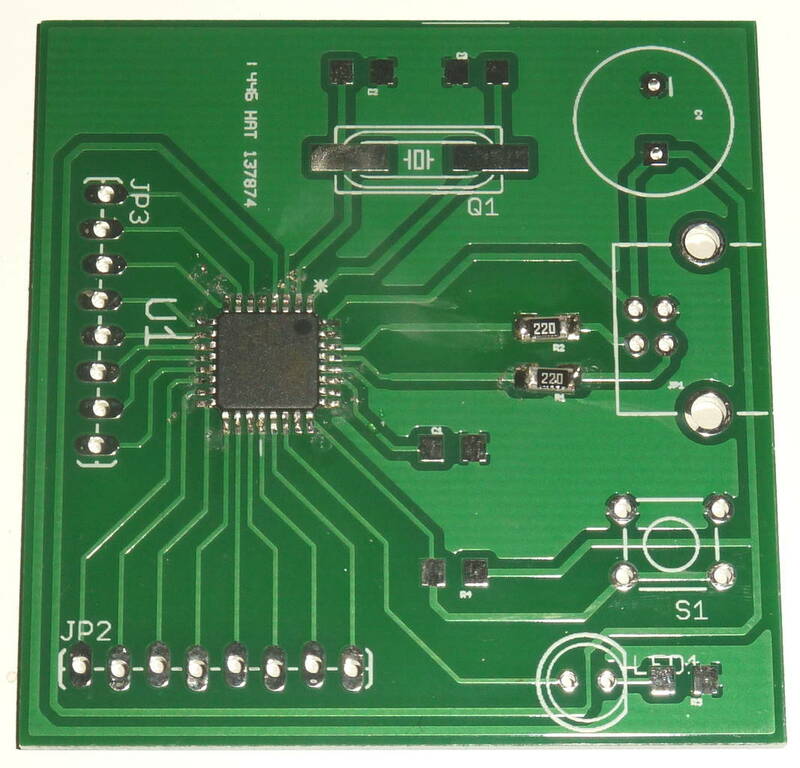 Check the datasheet of the chip to get the details of what it can handle. Etching you own PCB’s will work yes. But it is a bit more work with adding vias, and creating double sided boards. FYI, I’m mechanical background and are very enthusiasm in electronics..I only manage to design some simple circuit with a combinations of few switches, relay, contactor and some other electronic components which is used to test some module of the machines..what I’m interested is using micro controller and do somemprogramming code in order to design a more complicated board in order to impress my boss..but I have no knowledge about programming and not sure whether ur book will have a step by step and clear enough tutorial for me to refer? Eg how to declare variable…initialize the code..what is the function of the code line by line and details explanation on it..
Great to hear that you are interested in learning about microcontrollers. But my eBook «Getting Started With Electronics» does not cover the topics you are looking for. This tutorial should be a good starting point instead. And you can post in the comment field if you have any questions. For the big capacitor, the tact switch and the LED I solved this by soldering them on the top side of the board, but I can’t do that with the USB socket as it’s contacts are buried underneath it’s casing. I tried soldering it on the bottom side, but the holes are too small for the solder to wick through and get to the traces to make a positive contact. Any advice? All I can think of is to countersink the holes very carefully with a drill from the bottom side to make them large enough for the solder to get through, but I’m sure there must be a better way. I have never encountered that problem, so I have no hands-on experience with it. Maybe you can find some thin wires that you solder on the pad before placing the USB connector. Then run these wires through the holes together with the USB pins…. I hope you find a good solution! Hi again, I got the board soldered but I’m having a little trouble compiling the software. The package avr-gcc doesn’t seem to exist, but gcc-avr does so I installed that instead. When I went to compile it couldn’t locate the include files. Do you know where these are usually installed to? Can I edit the .c file to give a path to them like “#include ” or do I have to do everything from that folder? If you install avr-libc, you shouldn’t need to modify the code. I don’t understand how you found gcc-avr, i tried to Google it and only avr-gcc appears…. I finally got my USB A to B cable today and unfortunately my device isn’t showing up as a USB device :/ Not in Ubuntu’s file manager thing anyhow, might have a poke around in terminal later to see if it’s hiding somewhere. Thanks anyhow for all the help. hello sir, I also have the same question as asked above by zain ul islam. how to decide such things in a circuit. Instead of compiling using the software listed and using a separate software to upload to the microcontroller, could you simply use the Arduino IDE to upload to this or not since it technically isn’t an arduino? Hi, just connected the board today but it doesn’t show up in the USB connection list. There is power on the board, but is there a way to check whether the D- and D+ pins are doing what they should be doing? If you are using linux, you can try the command ‘dmesg’ to see if it tried to enumerate or if nothing happened. In windows, you should get an unknown device or something if it detects the device but fails to enumerate. If I remember correctly, the chip should have an internal pull-up on D+ so you should measure 5V on the D+ line when connecting it. This is the way that the computer will know that it’s a full-speed device. You wrote you only had 0.85V, so that’s strange…. If you read “21.2 Power-on and reset” on page 97, it says that the pull-up is activated after a power-up sequence. So I would start by checking that you have the correct voltages on reset, gnd and power pins. You’re using Atmega32U2, right? The fuses of the IC should be what they need to be. Your problem is most likely your power or your clock. Ok, so if your D+ is not pulled up to 5V on power-up, then that’s a problem. I would start by checking your power pins. Measure on the pin of VCC, UVCC and AVCC which should be all 5V. Also check that the ground pins are connected to the ground from the power source. 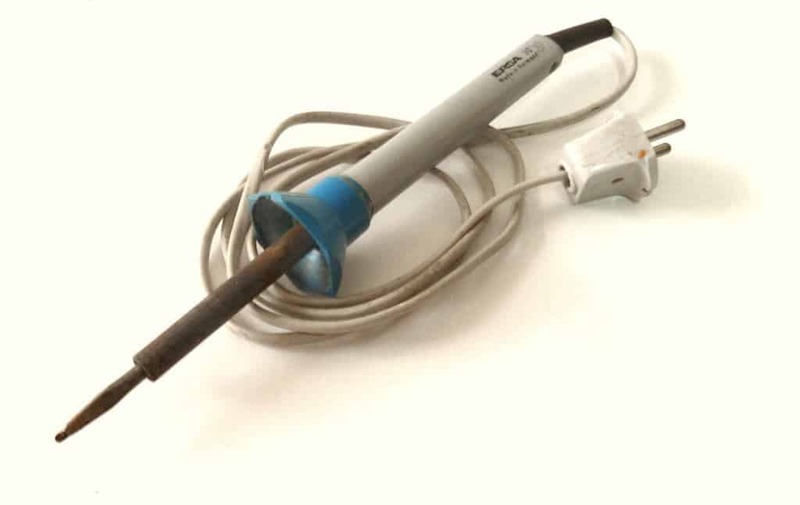 Use a continuity tester on a multimeter to check that there is connection from each ground pin to the ground of your power source. If you’re sure this is right, and it’s still not working, I would check the XTAL ports. I’ve experienced that a crystal didn’t work properly before. Do you have access to an oscilloscope to check if you are getting the 8MHz signal on the XTAL pins? Hi, I’ll see if the teacher at school will let me use it. I did find the D+ pin to not be soldered on correctly, and so soldered it back on. It stil doesn’t get recognised though, do you think this could possibly have damaged the chip? It’s of course possible that your chip got damaged. But, in my experience it very rare that the components fail, and it’s much more likely that I have a short-circuit somewhere, or some pin that is not soldered properly. I remember I had problems with a crystal once, that’s why I wanted you to check if you got an oscillating signal on the crystal pins. A very appreciative tutorial I’ ve ever come across that teaches you like you’re in practical lab. What to say, its really a big for me, I was searching to study for but this made very simple. I really have to say thanks to you about teaching in such easy manner to know. 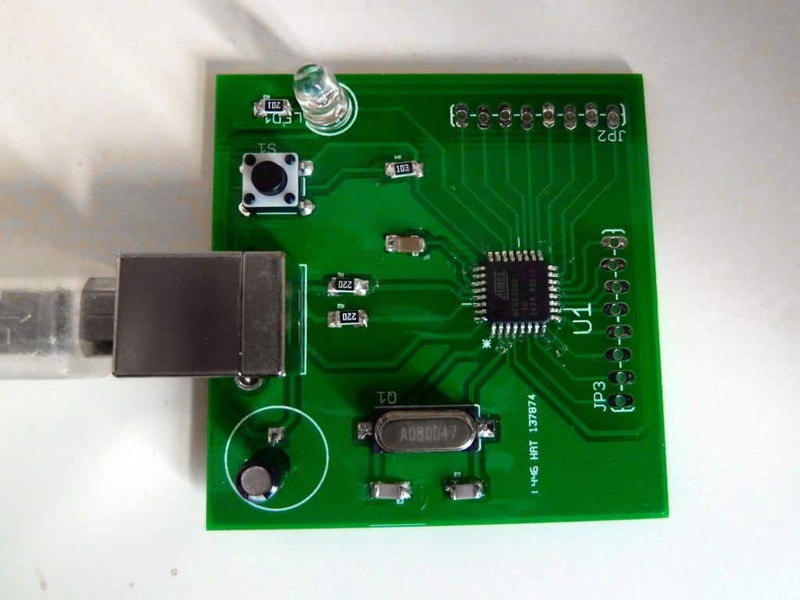 Which pins can you connect analog sensors to? PortD, not connected to any pins in my example, so you’ll have to redesign a bit. Thanks a lot for this tutorial. It’s surely something I’ll save and maybe do. I’m new about all this. So, I’ll most probably be asking something foolish haha. How is this board different from say, Arduino Uno. It feels to me like some kind of Arduino variation you’ve created. Maybe a much less powerful one but still works the same way? please i need you to tell me 3 or 4 types of electronics that has a microcontroller with usb port embeded……..because am not finicially bouyant…. Thanks for all you are doing. May GOD continue to bless you. I’ve had trouble mainly with the design. I selected a more complicated MCU – the ATSAME70Q19 – due to increased requirements, including but not limited to external memory capabilities and higher speed. The problems I’ve had are with creating the schematic – I can’t find a Fritzing part, KiCad schematic, or other piece, and even if I could, I can’t figure out how to wire the power – even following this tutorial, I’ve had the same problem: you show how to wire it, but not WHY it’s wired the way it is. More specifically, the power: on the Arduino boards for instance, there is Vin, but I don’t know how I’d hook up a battery to the circuit design shown here. I’ve found these tutorials extremely helpful. Thank you! If you can’t find a part for the microcontroller in KiCad, you need to design it yourself. And I really recommmend Kicad over Fritzing for such a project. I was able to build the circuit and solder everything (it looks correct). but then I don’t know what else to do to see the led blinking. I would appreciate any help. I Dont Know How To Thank This Man.You Are Extremely Great.Keep It Up. Is there any way to program the microcontroller without having to put a usb port on every single one of your PCBs? Maybe having extra pads that can be connected to with a usb programmer? I am in the process of developing an electronic device I wish to bring to market. Although I have an associates degree in electronics (why I could design the concept), I have never programmed anything. Since the product performs a variety of functions, is it wise for me to attempt to learn to work with an arduino, and eventually learn to program it to carry out my products many tasks, or simply hire an experienced programmer to assist me? I love to learn, and would love to understand every line of code my product will execute….but from a business stand point, probably not smart. Sounds like you want to learn this. So as long as you are not in a rush to get your product finished, I recommend you create at least a simple prototype of it yourself. Then later you can consider hiring someone to add more functions and make it ready for production. Hey, I’ve started follow this tutorials, however I am having problems soldering the microcontroller to the board, I’ve tried using soldering flux and everything and use very little solder paste, however the solder keeps getting between the microcontroller pins. 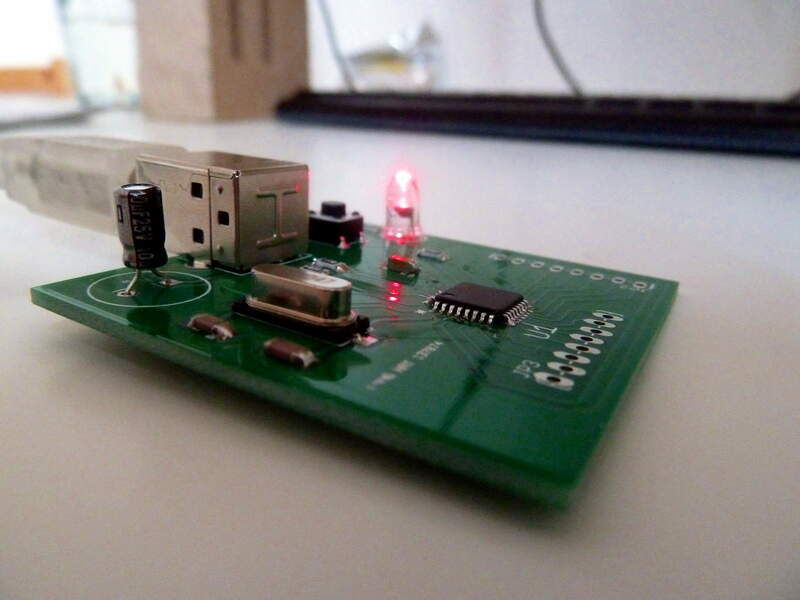 I don’t know what else to do, and the pads of the board are very small and do not allow much space to solder the microcontroller, what do you recommend? I usually get solder between pins as well. But then I remove those with a solder wick/braid. The smaller the wick, the better. Yes, that is what I did, however I could not get the solder between the pins no matter how many times I tried, and I have soldered a lot in the past and this never happened to me. If the solder is not coming off with a solder braid, the first thing that comes to mind is that maybe you need more heat. I have an iron that you can set the temperature, I’ve used a temperature of around 370ºC, I think it’s enough. I’ve also tried a technique that I’ve seen on a video to remove the microcontroller of the pcb , which is using flux and a lot of solder paste but as soon as I put the iron on it the paste liquefies and almost instantly solidifies which gives me no time to remove it. Now I can’t even remove it from the pcb. I think the only solution now is to use a heat gun which I don’t have. Are you removing the iron? You need to place the solder wick on top of the solder you want to remove and heat both the wick and the solder at the same time.